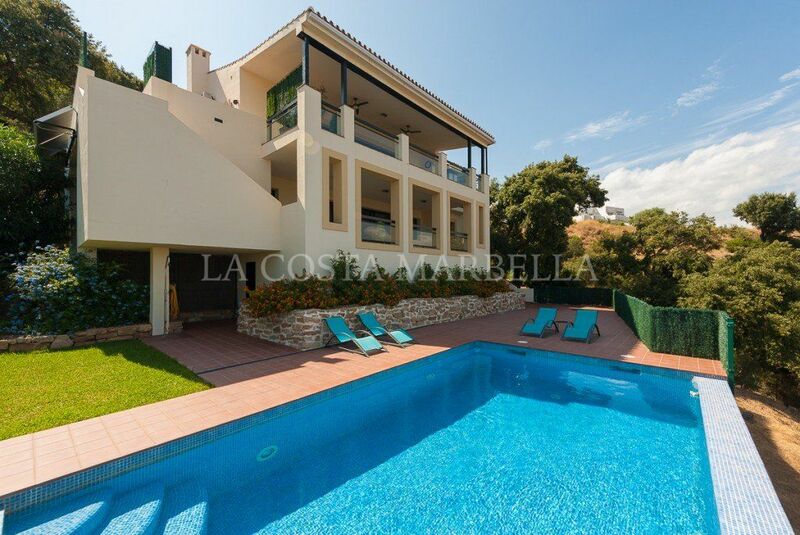 Villa for sale in Rio Real, Marbella East, with 5 bedrooms, 5 bathrooms, 5 en suite bathrooms, 1 toilets, the property was built in 2019 and has a swimming pool (Private), a garage (Private) and a garden (Private). Regarding property dimensions, it has 284 m² built, 168 m² terrace. This property, with orientation S/W, has the following facilities: Fully fitted kitchen, Close to shops, Close to town, Close to port, Close to schools, Guest apartment, Utility room, Fireplace, Marble floors, Jacuzzi, Sauna, Guest room, Gym, Solarium, Double glazing, Brand new, Dining room, Mountainside, Security service 24h, Guest toilet, Private terrace, Kitchen equipped, Living room, Amenities near, Sea view, Mountain view, Indoor pool, Heated pool, Transport near, Laundry room, Covered terrace, Fitted wardrobes, Air conditioning, Garden view, Pool view, Panoramic view, Close to children playground, Close to Sea/Beach, Close to Golf, Uncovered terrace, Glass Doors, SPA and Turkish bath. 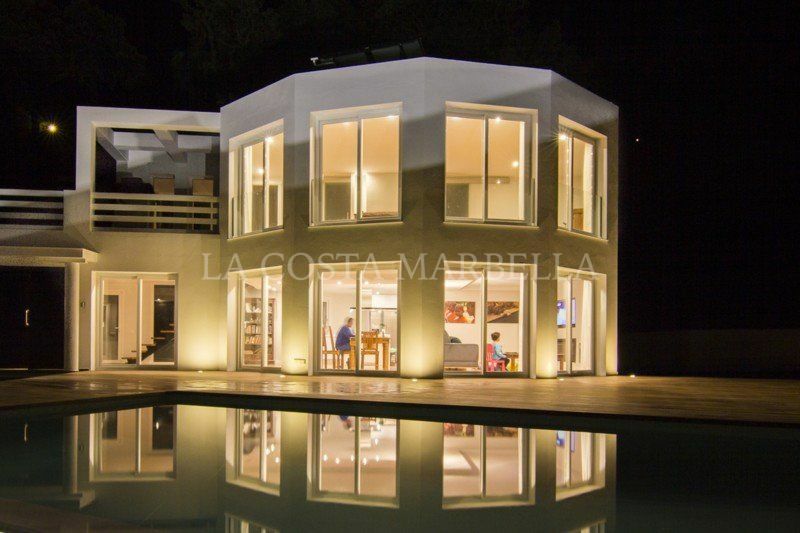 Please, send me more information about ref 239-00936P, Villa in Rio Real, Marbella East or similar properties. East Marbella is the Place for Golf!